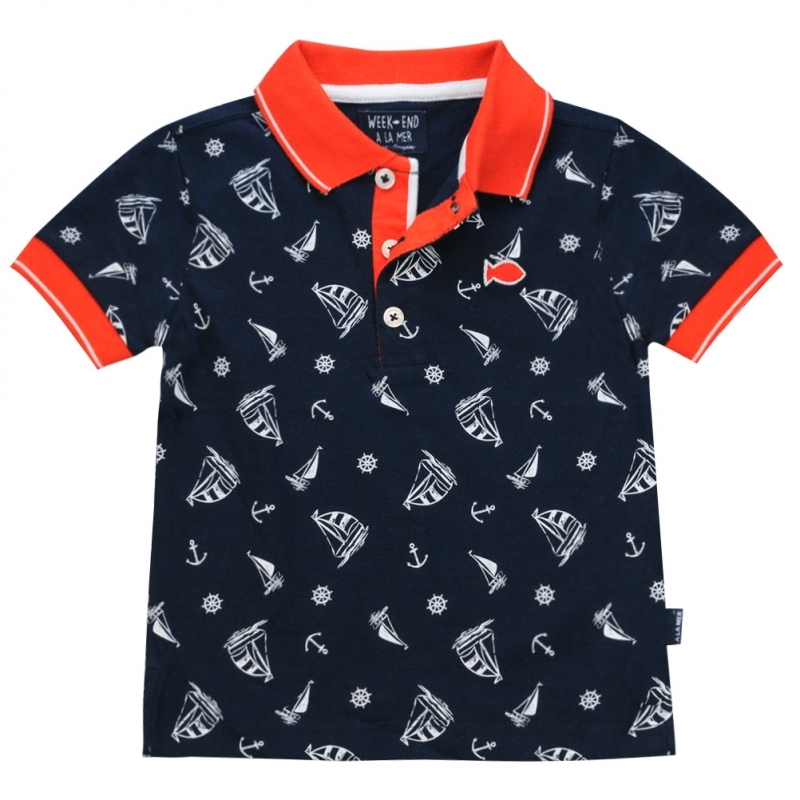 Super original, this navy polo is spangled with little printed sailboats that bring a very nautical touch to the model ! It has a superb orange fish embroidered on the chest. The orange-colored collar is decorated with a thin white stripe.